Complio is an online system for tracking immunizations and other requirements. The Complio process is simple and straightforward with just four basic steps to complete. The process should take less than 20 minutes. Click Create an Account to get started. Complio will send an email to the address used during account creation. Click on the Activation Link within the message. Click Complete Pending Order to purchase a subscription. Login in and follow Enter Data. Click Upload Documents and follow the onscreen instructions. Enter detailed information for each requirement. Click Submit to save what you’ve entered. Wait for Administrator Approval. You are not fully compliant until your Overall Compliance Status = Compliant, indicated with a green checkmark. Complio will notify you via email when your compliance status changes, if an item is approaching expiration or if a new requirement is added. 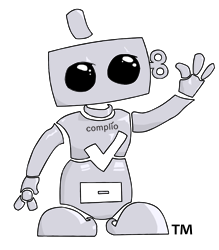 We recommend checking Complio regularly so you can stay compliant as individual requirements expire.